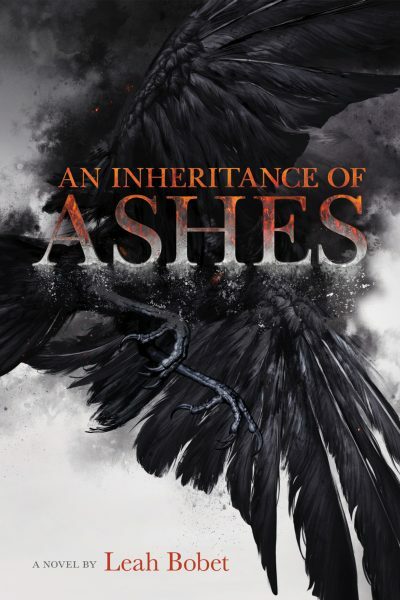 Leah Bobet’s 2015 An Inheritance of Ashes is her second novel. The first was 2012’s1 Above. The war against the Wicked God is over; the dread lord and its army of Twisted Things were defeated by a single knife thrust from John Balsam’s blade. How exactly Balsam killed a god by stabbing it is unclear. Balsam vanished in the chaos that followed the Wicked God’s death and no one else knows what happened. Indeed, all too few of the men who marched south from the lakelands to fight the Wicked God have returned. Young Hallie and pregnant Marthe wait for Marthe’s husband Thom to return, while doing their best to keep Roadstead Farm functioning. Shell-shocked veterans trickle north, but none of them are Thom. One wandering veteran, Heron, stays, trading his labour for room and board over the winter. Still, even with his help, the sisters may not be able to keep the farm … for reasons to be explained later. But the appearance of a Twisted Thing at a window hints that the war might not be as over as people think. The war in the south also started with a just few alien things. What was at first a seeming minor trickle of anomalies very quickly turned into a flood of monsters, monsters whose very touch burned. They were led by a being who sucked life from the very land. Having barely defeated the Wicked God through means that nobody understands, the local authorities are inclined to react to new incursions with overwhelming force. Hallie and Marthe soon realize that their farm seems to be the locus of the current invasion: the army’s scorched earth approach will leave them homeless. Hence they keep the dire news to themselves while they search for other ways to repel the invasion. However, they risk being branded as collaborators, for which the penalty is death. Another worldbuilding premise makes a lot more sense. We eventually learn that the Twisted Things are coming from another world and another ecosystem. Their world may look Earth-like, and our world may look inviting to them, but terrestrial and Twisted life are mutually incompatible. Contact between the two is almost always fatal2. Plot: there are two. There’s a plot on the grandest of scales; invasive ecology, no apparent way to fend it off, world-wide disaster looms. There’s also a more personal story, a story about Hallie and Marthe. They face more than alien invasion. They are still dealing with traumas inflicted by their abusive father. He was a bad-tempered brute who drove his brother off the farm and who treated his daughters as slaves. He played one last nasty trick on them with the terms of his will, tying them both to the land and his unpleasant heritage. If one can judge by the publisher (Scholastic), it would seem that this book is aimed at younger readers. Well, Inheritance is a bit heavier on the post-traumatic stress disorder, anxiety, and despair than the books I bought from Scholastic back in the Disco Era. It’s rather more challenging than I would expect of books aimed at younger teens. I am fine with that, but it is a little odd that how repressive dystopias and zombie stories seem to have displaced the cozy tales of nuclear holocaust that enlivened my teen years. An Inheritance of Ashes is available from Scholastic in Canada, Houghton Mifflin Harcourt in the US..
1: Seriously, it’s been three years since Above came out? Three years? It seems like just yesterday that I read Above. 2. This may remind some readers of David Gerrold’s unfinished series, The War Against the Chtorr. The author has promised that he will finish the last volume in 2015. There is a certain level of skepticism amongst those of us who have been awaiting some resolution (other than all die, oh the humanity!) for twenty-two years. However, guarded optimism seems indicated. A significant difference between Ashes and Chtorr is that the Chtorran ecology seems full able to push ours aside. It is by no means clear the same is true for the Twisted, who start dying painfully as soon as they arrive in our world.